The Information Technology industry has some very distinctive differences when compared to other industries. People and ideas have to move fast, adapt and react quicker every time to remain competitive and relevant, with markets moving at the speed of the Internet. These traits trickle down to the very fundamental activities of software development, where having maximum flexibility to accurately comply with the client’s demands has become a must-have in every cutting edge development company. Perhaps, the most well known framework for agile software development is Scrum (a term adopted from Rugby), a methodology that requires the team to acknowledge and commit that we will learn as we go in the product development journey, that we’ll know more after a few iterations than we know at the start. Agile development and by consequence Scrum, is all about focusing on the people and providing the maximum value to the customer. 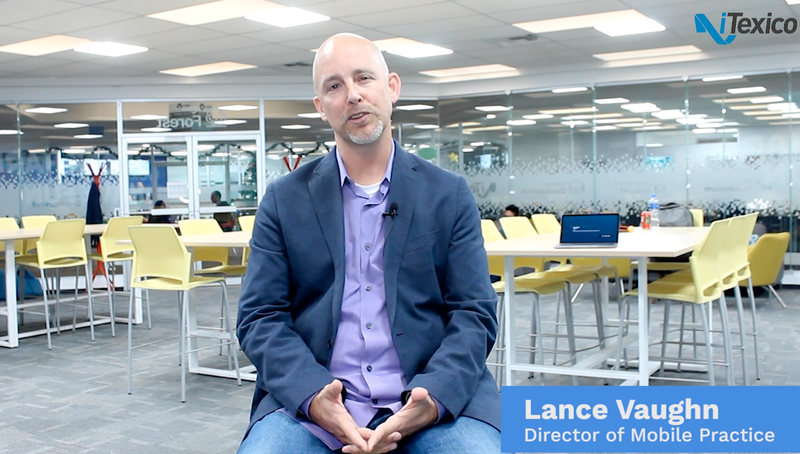 Agile teams excel at product development and innovation because they adopt the best practices of their professional disciplines, and they focus on producing high-quality work. Scrum allows development to work over a very simple process that requires individuals and iterations using tools, documentation, extensive customer collaboration and an adequate response to change. iTexico has always strived to provide the best experience to our clients and product owners. We know that caring about every detail of the development process is important and has an impact on our work and the quality resulting from it. Customers value this approach and connect with the idea of empowering creativity and flexibility to come up with great things. Being agile and implementing SCRUM is a key aspect of our development process where we focus on communication and collaboration done the right way. Every member of our team knows how to implement the Scrum methodologies to achieve great results and our customers couldn’t be happier. Scrum has proven to be a great way to directly collaborate with our clients and increase the value we offer as a nearshore vendor, since there are many benefits of real-time collaboration and having Scrum meetings has become a great way to maintain a constant supervision of daily activities and track changes and issues as they arise communication as a basis to exceed expectations. As part of the company’s continuous effort to promote the grand benefits of agile development, we organized a training class called SCRUM Foundations and Principles. 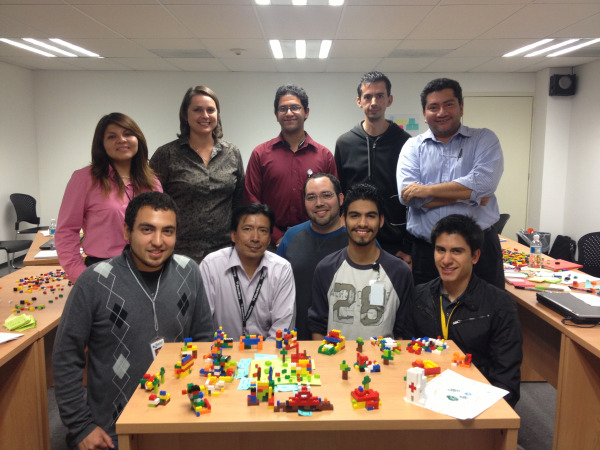 This class took place in early November 2012 with the help of Lisa Montaño from Conscires Agile Practices, a highly respected Scrum Master and experienced agile evangelist in many places of the United States. 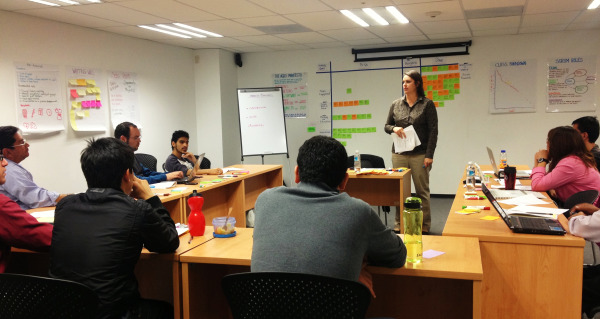 Lisa led the class through a series of activities and lectures that ranged from basic concepts of Scrum, the roles in the scrum process, sprints and iterations, best practices and many other useful tools to enrich the development process. At the end, everyone would realize that the dynamics of the class were focused on immersing the students into the topics of Scrum and the whole training class was a big Scrum sprint, which was a very useful and pleasant experience for all participants. Here are some images from the class and the attendees, you can check out the complete set on our Flickr page. If you are interested in learning more about Scrum you can download a copy of the slides for our Webinar here. For more about our training classes in Agile and Scrum as well as Cross-Platform Mobile Development with Appcelerator Titanium visit our Training Section.